Anxiety is a common emotion in children. It's usually an appropriate response to new or difficult situations or changes in a child's environment, such as starting a new school or moving to a new house. If you give your child reassurance and encourage them to learn how to cope for themselves, their anxiety usually goes away. Anxiety tends to be about things like going away on a school camp or starting a new school year. It can also be about school pressures or going to the doctor. For most children, their anxieties go away or change as they get older and learn that the situations aren't as bad as they feared. Excessive anxiety is more complicated and tends to cause more problems. A child has excessive anxiety if they keep being anxious despite reassurance. Another sign is if their behaviour changes in response to their anxiety. For example, starting to avoid situations to reduce the intensity of their feelings. if home life is very dysfunctional or unstable. mental illness or addiction in a parent. In Christchurch, there has been a large rise in anxiety in children since the earthquakes of 2010 and 2011. This has become a big focus of education and health funding. The aim of the funding is to support the children and families who continue to struggle. 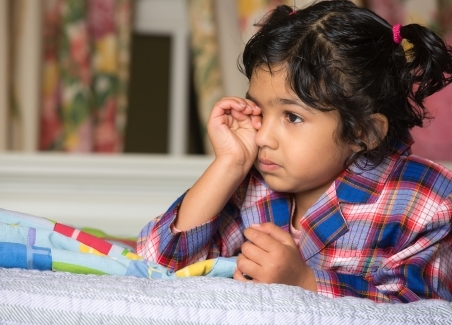 A child with anxiety can have a wide range of symptoms. The symptoms can look like physical health issues, personality quirks or naughtiness. They can be broken down into physical, behavioural and emotional symptoms. If the underlying cause isn't identified and addressed, these symptoms can become difficult to manage. They can affect more and more areas of life. Treatment for child anxiety depends on how severe the problem is. Many children have mild symptoms that don't impact their daily life very much. They just need consistency from their parents and teachers and help to learn the skills to manage their fears and worries. Other children have more serious anxiety problems. They may need group courses, family therapy, play therapy or one-to-one therapy. The therapy is likely to involve the child and their parents. Often the parents will need treatment for their own anxiety. Medications aren't usually used to treat anxiety in children. Written by HealthInfo clinical advisers. Endorsed by Child and Family Psychologist, Canterbury DHB. Page created October 2018.